Bengaluru FC take on Persipura Jayapura in a final Group E game of the AFC Cup at the Kanteerava Stadium, on Tuesday with an advantage at stake. While both teams have made it to the Round of 16 stage, the lure of keeping the one-off pre-quarterfinal game at home by virtue of being group toppers, makes it a must-win for Bengaluru who trail Persipura by a point. The visitors, on the other hand, need a draw at the most to earn home advantage going ahead. The Blues have come a long way from the 3-1 defeat in the away leg in March where they had as many as six first-team players missing owing to national team commitments. But putting the defeat behind and being fortified with a complete squad, Bengaluru have, since then, gone eleven games without being defeated in all competitions. 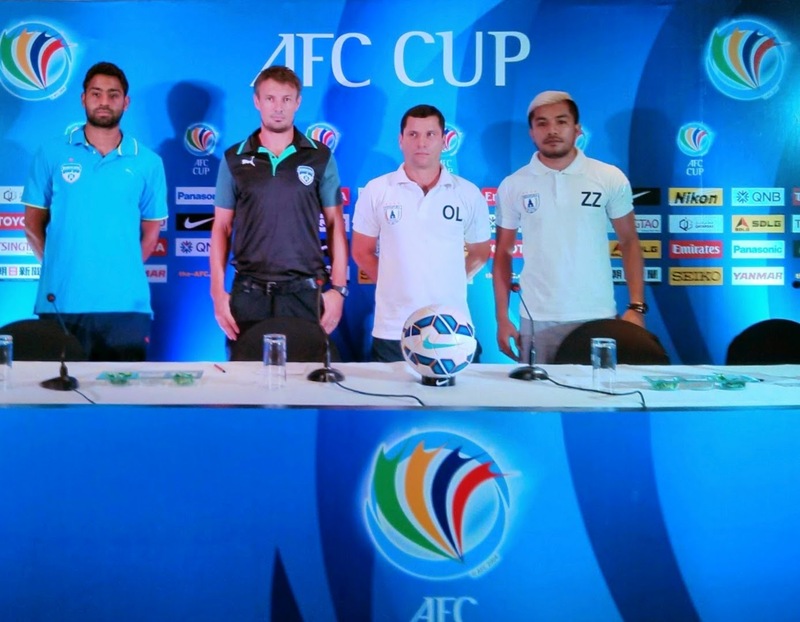 The run also includes impressive away wins to Warriors in Singapore and Maziya in Maldives in the AFC Cup. Coach Ashley Westwood said his team know they are up against a tough opposition in Persipura and though playing at home with a complete squad to choose from would be a big plus, the boys will have to put in a hard shift to come away with three points. “We’ve watched a few videos on them and they are a very good side." He added, “They’ve been in good form and with the league in Indonesia being suspended, will come into this game fresh from a little break. They are a good footballing side who keep the ball on the ground so playing against them home or away would be a difficult game anyway. Also, we are the ones in need of the win if we are to top the group and are under no illusions that this will be a very tough game,” said Westwood. The Blues will be without midfielder Thoi Singh who misses the game with a suspension while Westwood said Rino Anto and Sean Rooney, who were substituted in the 1-1 draw with Lajong after picking up knocks, would be assessed on the morning of the game before a decision on their inclusion is taken. Persipura are the only unbeaten side in the group with four wins and a draw while the sole defeat Bengaluru suffered was at the hands of the Indonesian club. The winners of Group E play the runners-up of Group G, the battle for which is still on. While the runners-up of Group E play Hong Kong club South China AA who have topped Group G. The game kicks off at 7 pm and will be telecast live on Star Sports 4.